•Seven Games You'd Better Keep to Yourselves [The Pause Button] A good roundup of guilty pleasures, rated on a scale of "forgot to clear my browser history before my mom started using the computer" to "caught crying at a movie that's legitimately sad." •Top 10 Fake Video Game Movie Trailers [Joystick Division] We've featured many of these here on Kotaku; inspired perhaps by this week's release of the Bomberman satire trailer, here are another nine poking fun at games and a movie industry that does them no favors. •Top 14 Sports Sim Titles [GamePro] Serious list here; I agree with most of these, my only quibble is that if Fight Night as a non-annual release is allowed here, then so should Top Spin. FIFA, to no one's surprise, is No. 1. 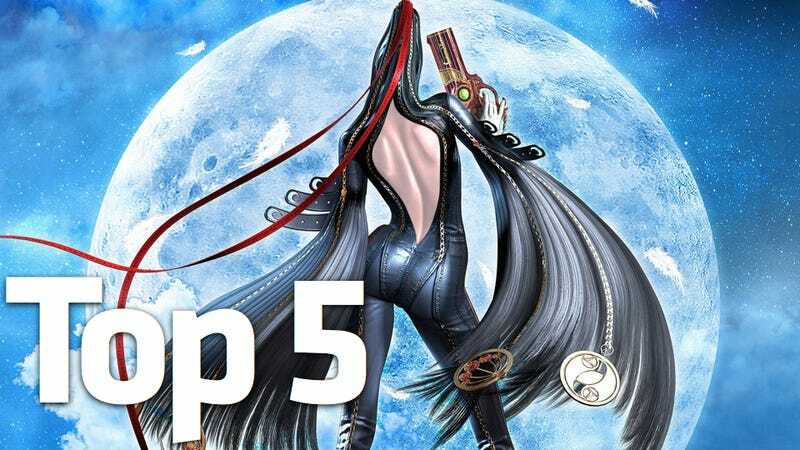 •Top 10 Video Games that Should Have Been Delayed [Planet Xbox 360] It's debatable whether a delay would have made any of these any better, considering the baggage most carried into release day. It's more a roundup of games considered to be flops but have some redeeming qualities. •Five Crucial Lessons Learned by Watching Kids Play Video Games [Cracked] A get-off-my-lawn screed against kids these days, who button through cutscenes, won't learn from failure and press pause too damn many times.